Well, it will be summer solstice on Monday and where do you plan to be to see it in? Oh, we know you would like to be at Stonehenge, just you and a few good friends, but what if you can’t get there or if you just don’t care to share it with the circus that takes place there every year? As with everything but dinner and the loo, the internet has the answer! 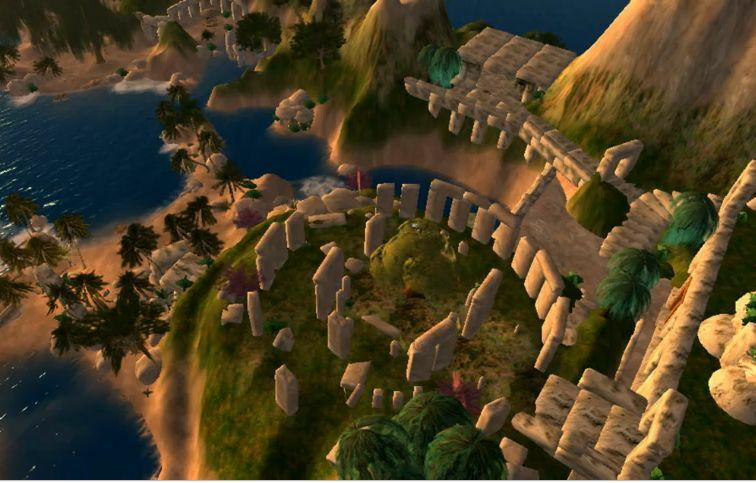 Why not visit Stonehenge virtually or in a video? Surprisingly, we haven’t been able to find a virtual Stonehenge with a real-time summer sunrise simulation. Neither have we found a video showing the midsummer sun rising at Stonehenge itself, but that is less surprising. If the experience of those gathering there over the years is a guide, then perhaps Stonehenge was built to observe rain and cloud cover rather than the sun at all! It burns us a little to have to admit that the best-known virtual Stonehenge we’ve found is that on the Heritage Key site. Clonehenge had an unpleasant run-in with them a while back and it left a bitter taste. Still, credit where it is due! You can see a video of their virtual Stonehenge here. (Sorry about that fellow’s accent. There should be a computer application that replaces the voice of anyone talking about Stonehenge with that of David Tenant in best Doctor form!) To access the real virtual Heritage Key Stonehenge, though, you have to sign up at the Heritage Key website. 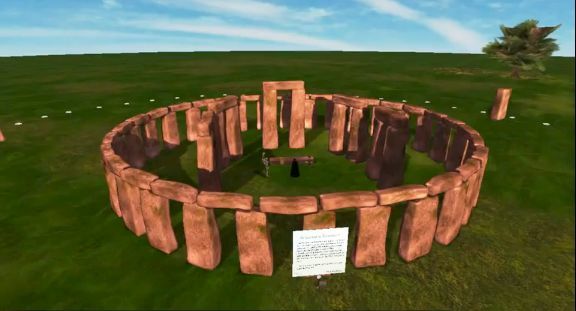 When you do, Prad Patel, a pleasant member of the staff there tells us: “Stonehenge Virtual always has a summer solstice going on. Unfortunately we can’t make a sunrise happen in real time (yet!) but we’re planning to have a party [for summer solstice] regardless! Have a happy Solstice!” We wish we’d dealt with him the first time! There is a Stonehenge midsummer sunrise simulation by someone else here. And a brilliant flythrough of the Stonehenge landscape at this link. Still another video, here, takes us through the monument. There are any number of virtual Stonehenges, but no webcams, unless you count the notorious Dead Bunny Cam! We hope that eventually virtual models will more faithfully reproduce the true shapes of the stones. Laser scans of some of the stones are already available. When completed they will allow virtual builders to get closer to simulating the true experience. Meanwhile, here’s a sample of what they have so far. As long as we’re listing, here’s another view of Stonehenge from the inside, presented by BritishTours.com. You need to be running Quicktime, but we like being able to control it, moving up and down, fast and slow. Of course that one’s not virtual but camera-generated, but it’s still a good substitute for the arm chair, or more likely couch, solstice observer. Beat your drum or sacrifice your virgin in the privacy of your own home! But wait, we hear you say, don’t end this post without showing us the worst Stonehenge video you found! It’s funny you should ask. We have just the thing! The title is Second Life–Spirit Stonehenge, and we can only guess that it is an amalgam of every even remotely Stonehenge-ish thing on SL. We won’t describe it in detail, just do try to hang in there to see Gollum and a dinosaur near the end. Wow! But this post is way too long already and you have better things to do this midsummer than to sit here reading Clonehenge. So we part with a link to a lovely still of an anomalous midsummer sunrise, one in which the sun was visible from that old grey pile of rocks. Scroll down and there is a troupe of druids. They must have had some powerful bleach back there in prehistory! 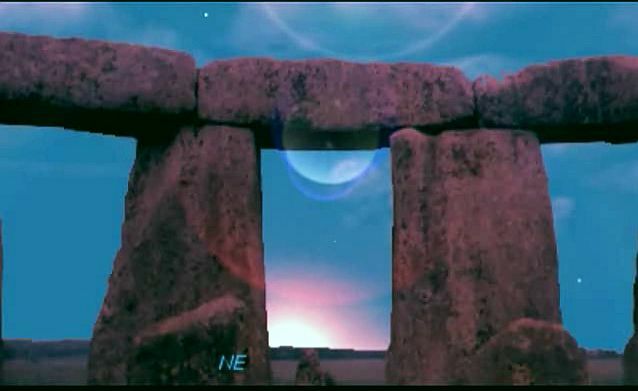 We at Clonehenge wish you a wonderful solstice and a beautiful summer. Remember, if you want to be at Stonehenge, you can always make your own. Happy henging! *Turns out that British Tours one is his.